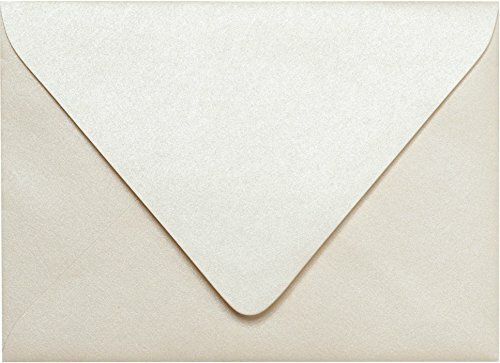 The 5 1/2 x 7 3/4 Outer Envelopes are classically elegant envelopes, a traditional look just right for traditional uses such as for invitations, notecards, announcements.8 sizes, all with the flap on the long side, come in white or off-white. 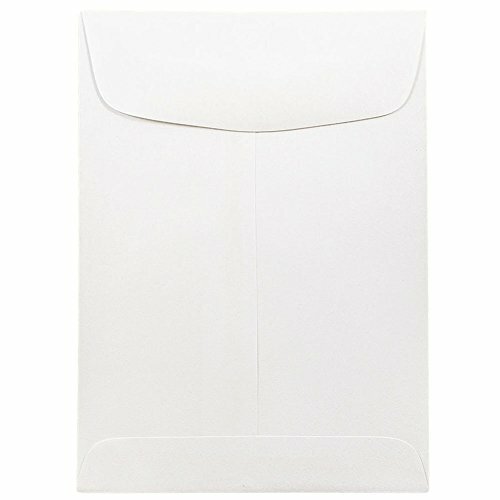 If you're looking for the perfect Envelopes, the 5 1/2 x 7 3/4 Outer Envelopes are the perfect choice and an amazing value. Click the yellow "Add to Cart" button now! 5 1/2 x 7 3/4 Outer Envelopes in 70lb Bright White measure 5 1/2 in x 7 3/4 in (5.5" x 7.75" inches) and are the perfect invitation envelope for invitations, announcements, holiday cards, greeting cards, letters, personal mail, and more. Pair with A7 flat or folded notecards for mailing invitations to Weddings, Parties, Holiday, Corporate, Banquets, Showers, Birthday and more. Made from high-quality, durable 70lb. paper. Features an elegant pointed flap, easily sealed by moistenable glue. 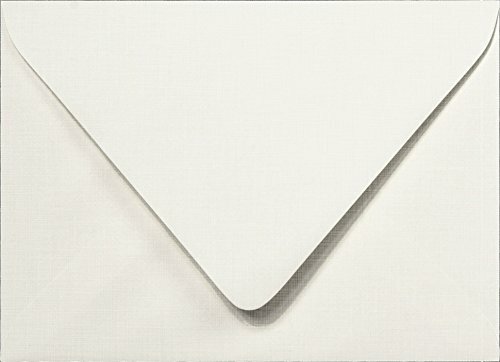 70lb Bright White is a classic, clean finish that signals elegance to every recipient. Opaque and not see through. Printable on off-set and digital printing presses and some home printers. If you're looking for the perfect invitation envelope for any event or business use, 5 1/2 x 7 3/4 Outer Envelopes are the perfect choice and an amazing value. Click the yellow "Add to Cart" button now! 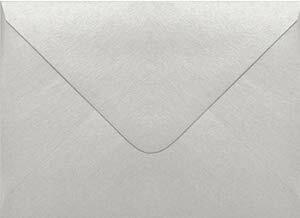 The Outer A-7.5 Bright White Linen Euro Flap envelopes are used for placing your standard A-7 Envelopes into this outer envelope. They are great for sending announcements, invitations, small booklets, brochures, greeting cards, and distinctive business stationery. A-sizes have side seam construction, with large, nice deep "V" flaps. Please note, the A-7.5 Outer Envelopes can be used as the outer envelope for the A-7 Envelope, for a traditional envelope set. 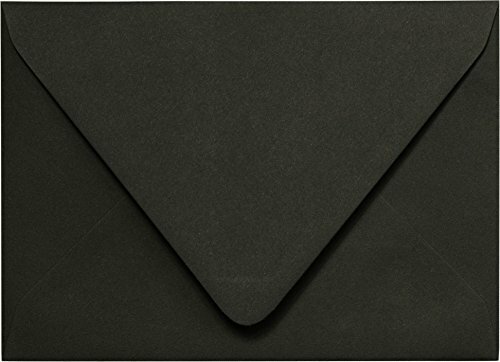 The Outer A-7.5 Black Solid (Matte) Euro Flap Envelopes are used for placing your standard A-7 Envelopes into this outer envelope. They are great for sending announcements, invitations, small booklets, brochures, greeting cards, and distinctive business stationery. A-sizes have side seam construction, with large, nice deep "V" flaps. 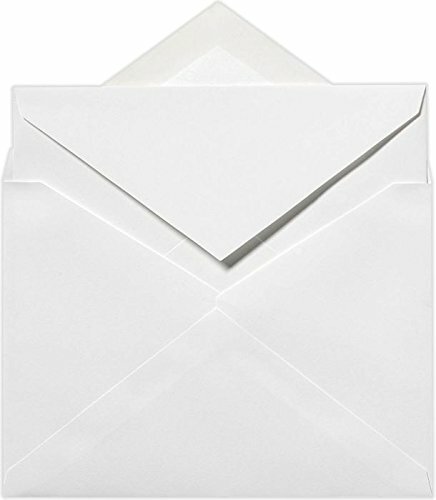 Please note, the A-7.5 Outer Envelopes can be used as the outer envelope for the A-7 Envelope, for a traditional envelope set. http://www.lcipaper.com/double-wedding-envelopes.html People looking for wedding envelopes very often ask us, "What's a double wedding envelope?" Well, a double envelope is made up of an outer envelope and a slightly smaller inner envelope that's designed to fit inside. 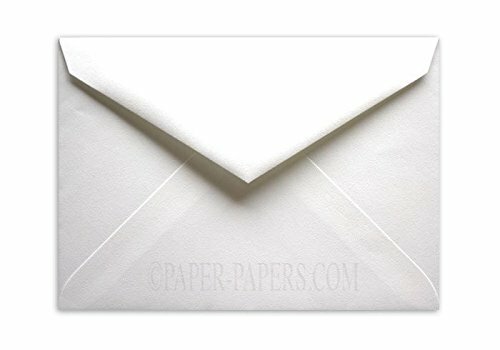 Want more Outer Envelopes similar ideas? Try to explore these searches: 92 Hdtv Fixed Wall, Red Poppies Original Oil Painting, and 4 Inch Fun Decor.